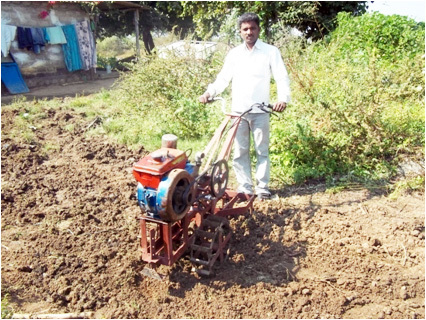 Easy to operate in any dry crops with row separation more than 22 inches. Operator has to control the device with accelerator with left hand. Diesel consumption per hectare is 3.5 litrs. Can cultivate 2 hectares in a day.